If you have heart disease or you just want to keep your ticker healthy, you’ve probably heard the saying already: “Watch your cholesterol!” The type that puts your heart at risk is LDL, the “bad” cholesterol. Get a simple blood test to check your LDL levels. If they’re high, healthy foods and medicine can help you get them down. Cholesterol isn’t all bad. It’s an essential fat the cells in your body need. LDL is a microscopic blob made up of an outer rim of lipoprotein and a cholesterol center. 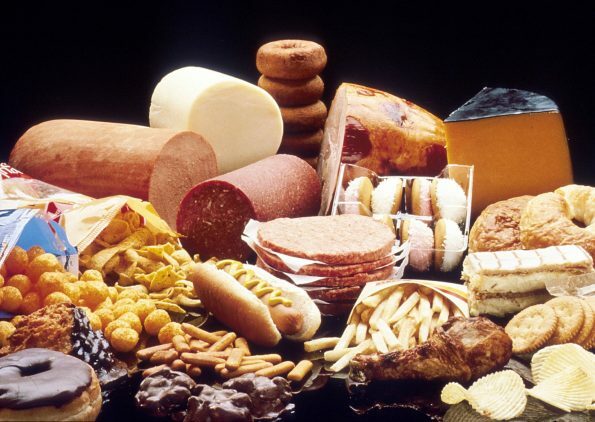 Its full name is “low-density lipoprotein.” It’s bad because it becomes part of plaque, the stuff that can clog arteries and make heart attacks and strokes more likely. Heart attacks are unpredictable, but higher levels of LDL raise your odds of heart disease. Until recently, guidelines for cutting those odds put an emphasis on lowering this “bad” cholesterol to a specific number. Nowadays, you and your doctor work together to develop a personal strategy to lower your LDL by a certain percentage. It’s based on your how likely it is you’ll have heart disease or a stroke. To figure it out, doctors use a calculator to estimate your chance of those problems in the next 10 years. Your doctor will set up a plan of lifestyle changes or medication that can lower both your cholesterol and overall risk. Healthy foods and exercise can cut your LDL levels. Eat foods low in saturated fat, cholesterol, and simple carbs. (Simple carbs include foods like sugar, white bread, and white crackers.) You can lower your numbers even more if you add fibre and plant sterols (margarine or nuts) to your diet. Regular exercise, the kind that gets your heart pumping, also lowers your levels. If healthy foods and exercise aren’t enough, your doctor may suggest medications. Some drugs, like statins, help block your body from making cholesterol. Other medicines lower the amount of cholesterol your body gets from the food you eat. There are also drugs that you take a shot rather than as a pill. These meds block a protein that interferes with the way your liver removes LDL from your blood. They’re recommended for people who can’t use statins or who have a severe form of high cholesterol. Remember, many other things affect your chances of getting heart disease. Smoking, diabetes, high blood pressure, obesity, and lack of exercise also raise the risk. It’s important to lower your LDL, but don’t ignore these other health issues.